This is a projected video of a lungfish filmed at the Natural History Museum in Berlin. 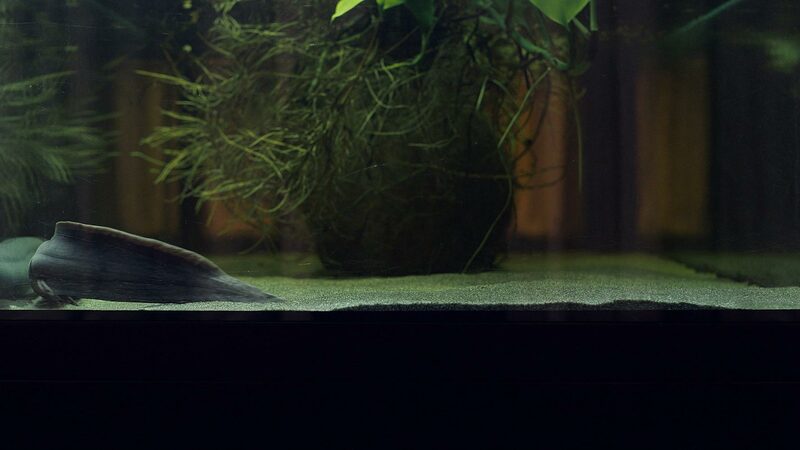 In this 1:44 minute loop, the lungfish is presented swimming around infinitely within its contained environment. Unidentified silhouettes of museum guests are visible moving in the background. The lungfish is an animal that was named a living fossil by Charles Darwin due to its close biological relationship to its ancestors. The video is projected 1:1 scale, accurate to the actual aquarium in the museum.